SALT LAKE CITY (AP) — Native American tribes and environmental groups preparing for a legal battle to stop President Donald Trump from dismantling Utah’s new national monument face a tougher challenge than anticipated. Legal experts disagree on whether the 1906 Antiquities Act allows a president to reduce a monument, and it’s something that has never been challenged in court. Bears Ears, established by President Barack Obama in December, is about the size of Delaware, covering roughly 2,000 square miles (5,300 square kilometers). It protects more than 100,000 archaeological sites on what’s considered sacred tribal land in southeastern Utah. “There’s been enough history of downsizing, even fairly large areas, significantly large areas,” Noel said. Many times, past presidents reduced monuments only slightly, like when Franklin Roosevelt removed about 52 acres from Arizona’s Wupatki National Monument in 1941 to make way for a dam. But occasionally the changes were drastic, like President Woodrow Wilson’s move in 1915 to cut Mount Olympus National Monument roughly in half to open more land for logging. Environmental groups and others gearing up for a fight note that no president has tried to downsize a monument since the 1976 Federal Land Policy and Management Act, which they say restricts a president’s ability to do so. The groups also contend past presidents never faced court challenges for shrinking monuments. “Whatever this administration does will certainly not go unchallenged,” said Kristen Boyles, an attorney with the environmental group Earthjustice. Legal experts disagree on whether the environmental groups are right, but the court battle that’s expected if Trump tries to cut down Bears Ears could significantly alter what’s generally been a lasting protection from presidents. Donald J. Kochan, a professor of natural resources, property and administrative law at Chapman University in Orange, California, said the president’s broad power to create a monument comes with an inherent ability to change a monument or undo it, just as presidents regularly undo other policies or regulations from past administrations. Mark Squillace, professor of natural resources law at the University of Colorado-Boulder, disagreed. 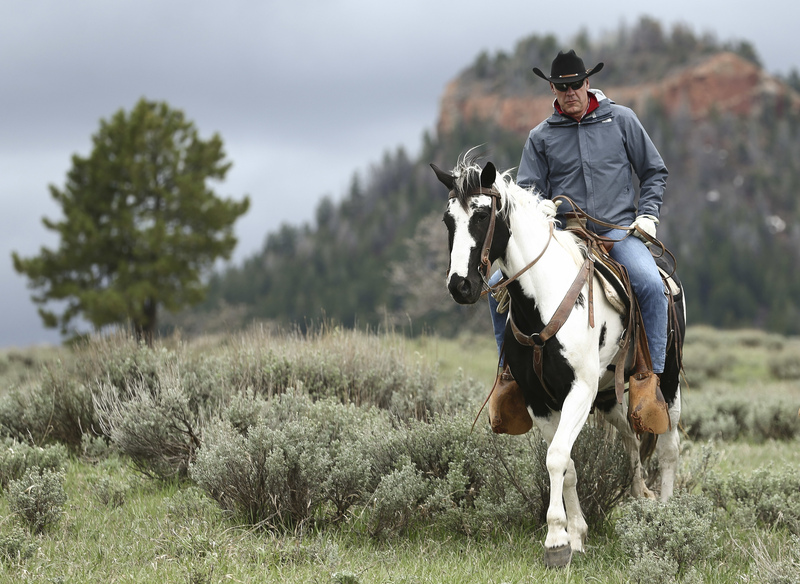 He said Congress controls public lands and it’s significant that in passing the Antiquities Act, lawmakers spelled out only that the president can create a monument. He said the 1976 land policy law and congressional records of the law’s drafting also make it clear that Congress didn’t want to give presidents the authority to shrink or undo monuments. 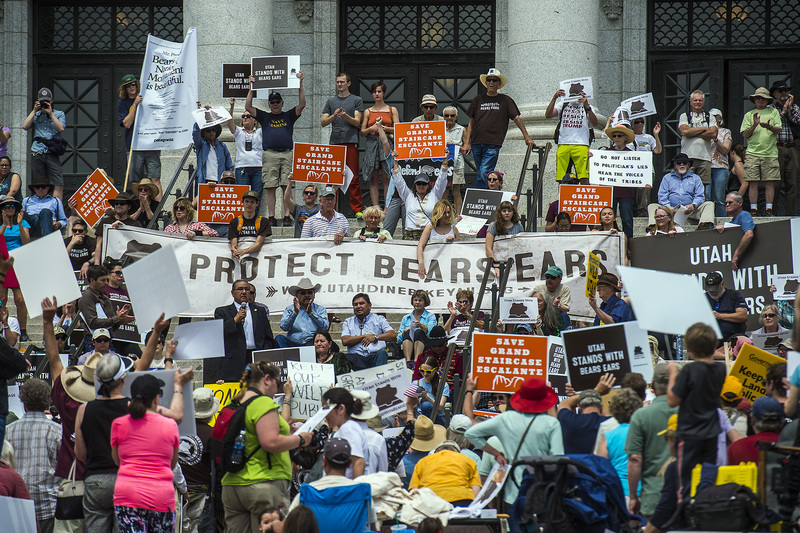 Lawsuits are expected from the Navajo Nation, groups like the Wilderness Society and Earthjustice, and even outdoor gear company Patagonia once Trump takes action on Bears Ears. That’s not likely to happen until at least August, when Zinke finishes the president’s request that he review 26 other monuments. Noel said he’s working on legislation that will commit the state of Utah to intervening in the lawsuit to help defend the Trump administration’s action. Representatives for Gov. Gary Herbert and Utah Attorney General Sean Reyes, both Republicans, declined to say whether they’d join a lawsuit. Messages seeking comment from the Interior Department were not returned. The corrupt garbage president’s plan to put into effect a health plan far worse than Obamacare and make the rich richer got smacked down hard, even by republicans. How do you ignorant wingnutter clowns feel about that? We think it’s time to flush you down the toilet.